In the last 10 years or so concrete has become an acceptable - in fact hip - material, applied to all kinds of design objects. Well, that's in Britain at least because in France people have never been squeamish about using this long lasting, adaptable, organic material and having it on show. 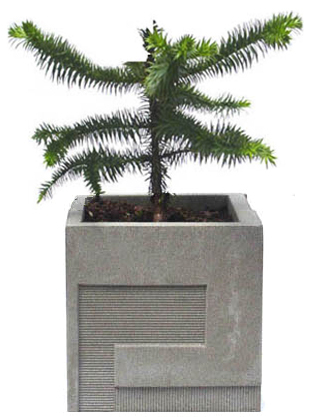 Of the many forms in which this ultimately mouldable medium is superbly manifested one of my favourites is the concrete planter, at once a functional and sculptural object with very strong 3-dimensional presence . In France concrete planters have been fashionable for decades - you see them everywhere, from village doorsteps to municipal public spaces. In the first example, above, I love the minimal, sculptural simplicity of the simple square block and the organic weathering of the concrete. The large scale 'fluting' helps transform this municipal object into a true piece of abstract sculpture with maximum three-dimensional presence. This isn't concrete - maybe an old galvanized bucket - but the simple shape, smooth texture and neutral colour create a perfect contrast with the crazy cascading succulents. Once situated somewhere, I notice that people tend to leave their plant containers for years, letting them become colonized with wild plants native to the habitat. Personally, I would choose the pot above to most of the expensive, pretentious planters available at garden centres. 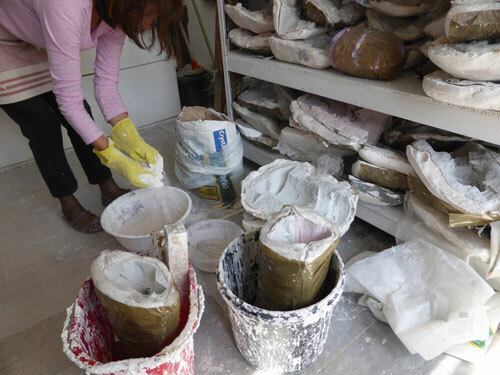 When patterned, the designs are always simple, just relying on the process of casting - to produce relief and indentation - and different concrete mixes to supply interest. This is the philosophy which has most appealed to me in my use of concrete throughout my own work. I don't know what could be more simple and beautiful than this! All the materials just being allowed to be themselves and weather naturally through the years. 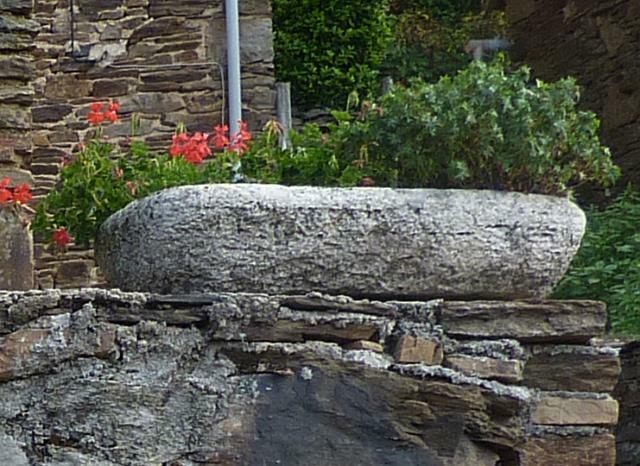 I like the way the planter although a manufactured object is only a few steps away from the raw rock it sits on in terms of colour, texture and character. A perfect. 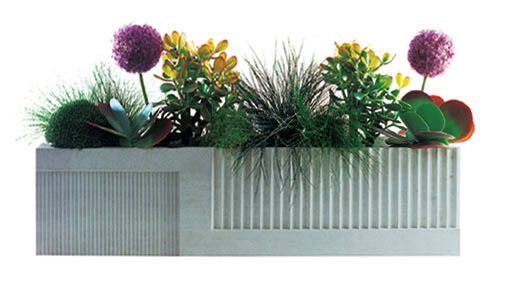 square box - the less-is-more of the concrete planter world. 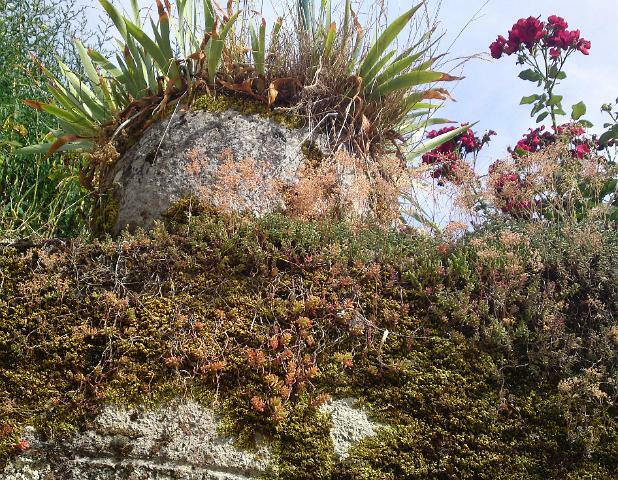 This planter has been on the top of the wall for so long that the vegetation has virtually consumed it. People don't think of concrete as an organic material but really it's just ground up rock which is why it weathers so beautifully and is so perfect in a plant environment. I've never seen anyone else stop and take a photo of a concrete planter (you get some odd looks). It's a shame that simply, well proportioned containers like this aren't available in the garden shops. I am completely in love with this perfect half sphere half balancing on the solid moss-covered column. 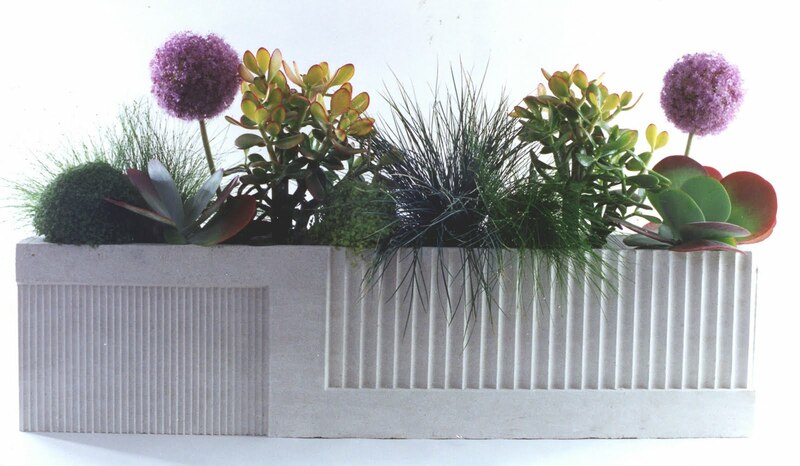 These are some of the concrete planters I designed myself. 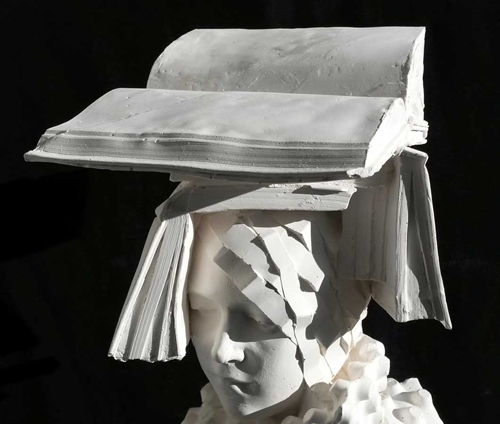 This collection was inspired by modernist architecture, hence the abstract, geometrical shapes. 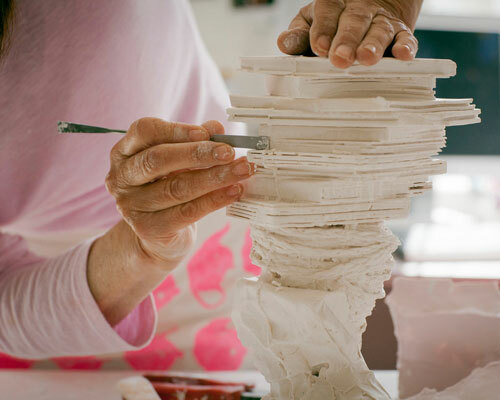 As I mentioned, the process of casting itself is central to the design concept, taking impressions from textured and patterned surfaces to create indented detail. 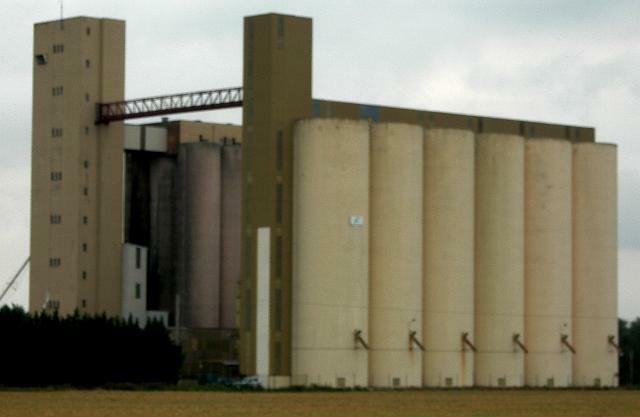 Ridge Planter: a lot of my work is influenced by architecture and civil engineering- this design references grain silos which when seen from a distance seem to rise like cathedrals from the flat wheat fields. 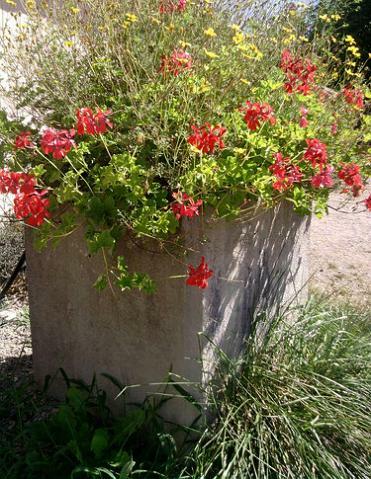 Concrete flower boxes are still seen today across the UK and while many would think they are not attractive, they can actually be quite interesting and modern. Such a great pictures of Concrete planters edmonton. Keep on posting!